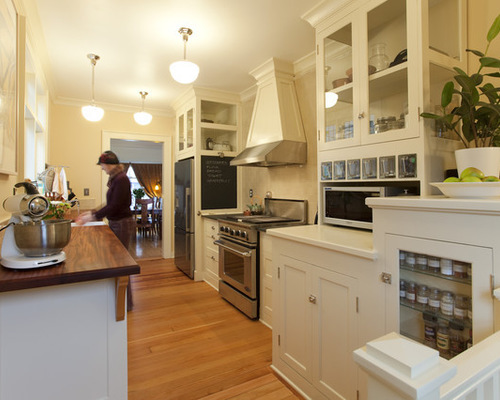 This article was originally published on Houzz on Feb. 25, 2013, as "Easy Green: 23 Ways to Reduce Waste at Home," and is presented here with permission. Read the original article. We all know that growing landfill mass and, sadly, even trash floating out at sea are real issues, but it can be hard to know where to start if you want to make a difference. Thankfully, it's actually quite easy to cut way down on your household trash by making tiny changes in your shopping habits and daily routines. If you would like to reduce the amount of trash your household creates, but are not quite sure how to do it, these 23 tips can help. They are all easy to implement and can add up to a reduction in waste that makes a difference. 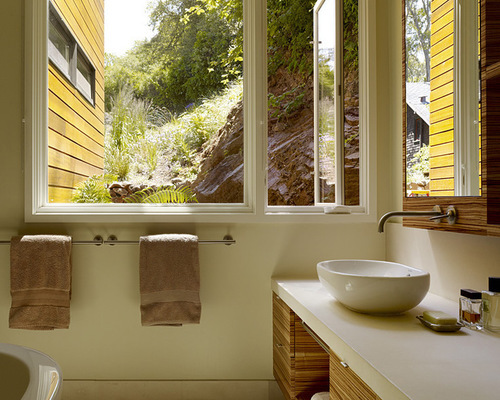 Photo credit Butler Armsden Architects; original photo on Houzz. 1. Switch to digital downloads of movies and music, if you haven't yet. 2. Ask for and give consumable or homemade gifts. Think event tickets, dinner reservations and edible treats. 3. Stop junk mail and paper bills, and cancel subscriptions that you don't read. 4. Be picky. By choosing to buy only what you love and know you will wear, you can slim your wardrobe and love it more. 6. Bring cloth shopping bags of your own...even to the mall. 7. Mend and tailor instead of tossing. Take a cue from our grandparents' generation and work with what you have. Photo credit Buckenmeyer Architecture; original photo on Houzz. 8. Buy soap in bulk and decant it into reusable containers. 9. Keep lots of cloth towels on hand instead of paper. 10. As long as it is relatively clean, you can reuse aluminum foil several times. 11. Give old clothes and linens a second life—cut them up and reuse them as cleaning rags. 12. Shop farmer's markets, produce stands and natural food markets—you will find the freshest and most local food that's minimally packaged. 13. Avoid buying single-serving packages. Pick the larger containers instead. 14. Keep plenty of reusable bags around. If you have trouble remembering to bring bags, try keeping stashes of them in your car, by the front door, in your office and anywhere else they might come in handy. 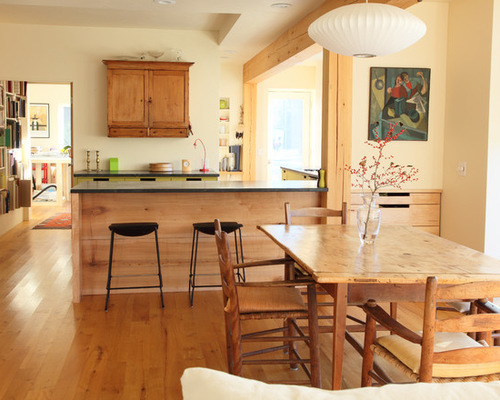 Photo credit Garland Mill; original photo on Houzz. 15. Use real dishes and cloth napkins every day. 16. Try an alternative to plastic wrap. Place a plate on top of a bowl to store leftovers in the fridge or purchase reusable dish covers. 17. Our pets don't ask for much, but that doesn't stop us from wanting to buy them all sorts of things. Keep things simple and stick with a few favorite toys and accessories. 18. Buy your most frequently used pet supplies in bulk to cut down on packaging. Photo credit John Maniscalco Architecture; original photo on Houzz. 19. Simplify your beauty routine—fewer products means less waste. 20. Use microfiber cloths instead of paper towels for cleaning. 22. Make friends with your public library. If you haven't explored your local library lately, consider giving it another look and borrow a book, movie or music CD instead of buying. 23. Rethink leisure time. Relax in your backyard, cook dinner for friends, walk in nature, go for a bike ride, have a picnic or read a book—from the library!